A D.C. community theater attempts to stage a production of "Our American Cousin" -- the play that was being performed when President Lincoln was assassinated. The passionate (but moderately talented) cast and crew have their work cut out for them: The show is underfunded, the material is dated and now they discover the production is haunted. They band together to discover the identity of the ghost, but can they get rid of it before opening night? 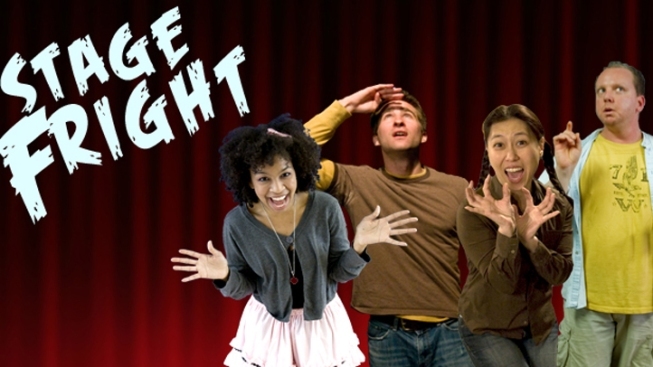 Find out with us as we unveil all 10 episodes of "Stage Fright" -- a ghost comedy web series that was developed, written, shot and edited as a collaboration between American University students and faculty in the course "Creating Webisodes," which is taught by professors Claudia Myers and Kyle Brannon. More episodes will be unveiled weekdays, so check back for the latest!